MIDDLE AND HIGH SCHOOL INSTRUCTION APPLICATION. 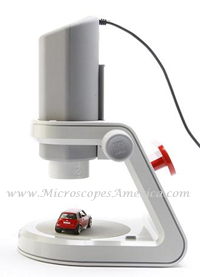 The My First Lab™ Ultimate Digital Microscope is a deluxe digital microscope set that features a state-of-the-art Digital Eyepiece that connects to your PC via USB port and Ulead® Photo Explorer software that allows you to view, edit, and save live color images on your PC. The LED light source is adjustable so you can control the brightness to get the best image possible. 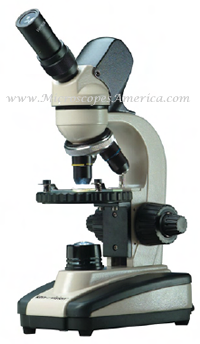 It also comes with the same standard 10X widefield eyepiece found on other My First Lab™ Microscopes, giving you the option of using your microscope in a variety of ways! Winner of the 2009 Idea Design Award. 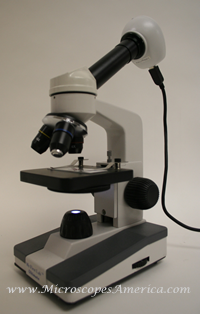 The NEW Megapixel Digital CoreScope is an affordable way to add digital microscopy to your classroom. Perfect for Elementary/Middle Schools. 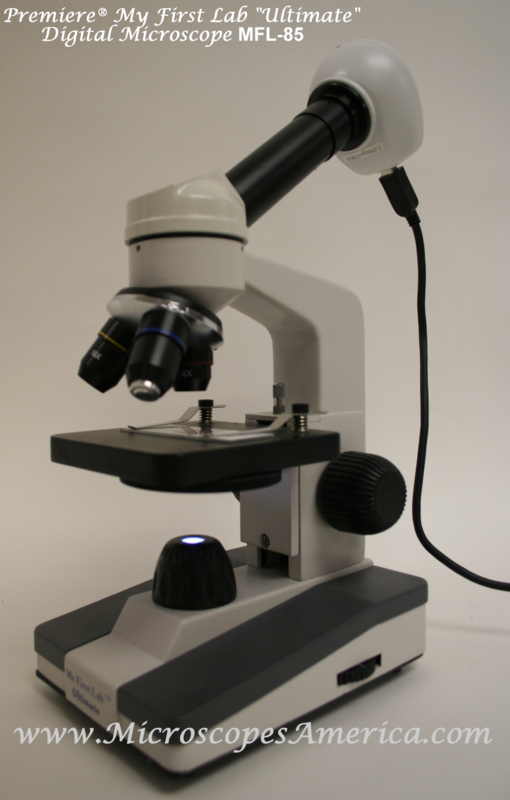 It is powered by USB 2.0 to capture clear, sharp images directly to your computer, and can be used as a standard microscope or a digital microscope. It comes complete with Applied Vision™ Software for Windows®.